This colourway is a special signature model of Tim H''ng, Champion of Redbull PAO 2018. This Medium Cup diabolo is the G3 size and shape but uses a material very similar to the G2 diabolos to give a G3 cup that is somewhere inbetween the hard and soft cup versions (it is softer than the hard cup but not as squashy as the soft cup). 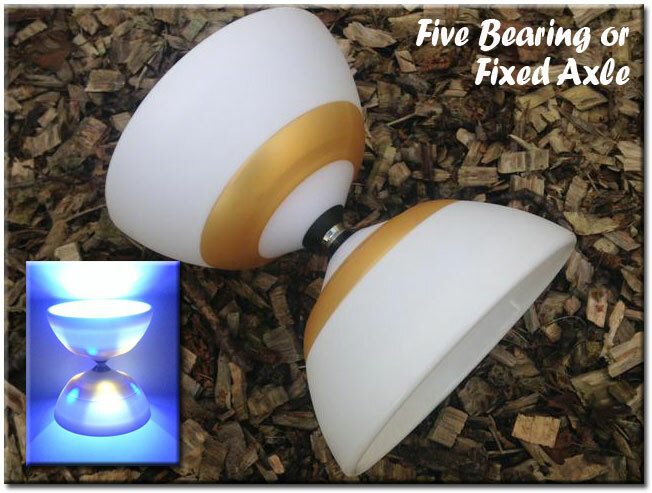 This diabolo is also available as a 5 Bearing Axle version.